Video: The K'NEX Big Ball Factory was so loved by fans of the building toy that the company decided to bring it back last year, 20 years after it first hit toy stores. But with just over 3000 pieces going into its construction, it doesn't even begin to come close to Austin Granger's record-setting K'NEX creation. 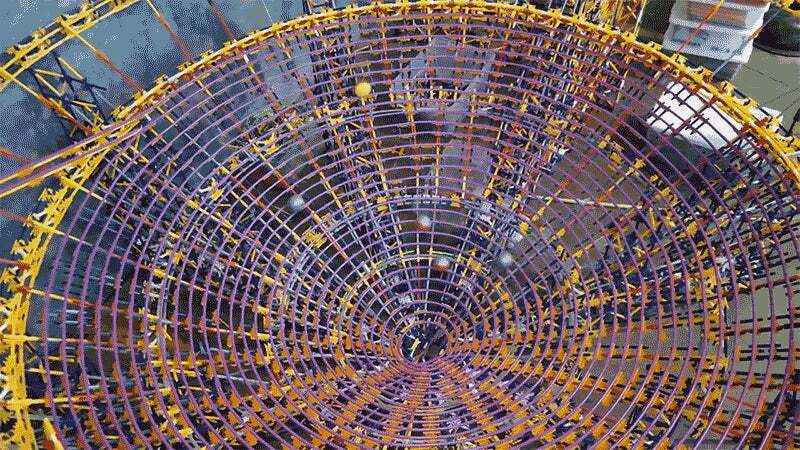 Some 126,285 pieces of K'NEX went into this custom ball contraption that spans over 274m from start to finish. Its most impressive feature is a massive contoured bowl in which the balls spend minutes orbiting each other before falling through the bottom. Not surprisingly, the creation was more than large enough to earn an official Guinness World Record, but there's no word on whether or not K'NEX plans to turn this into an official set. Fingers crossed.